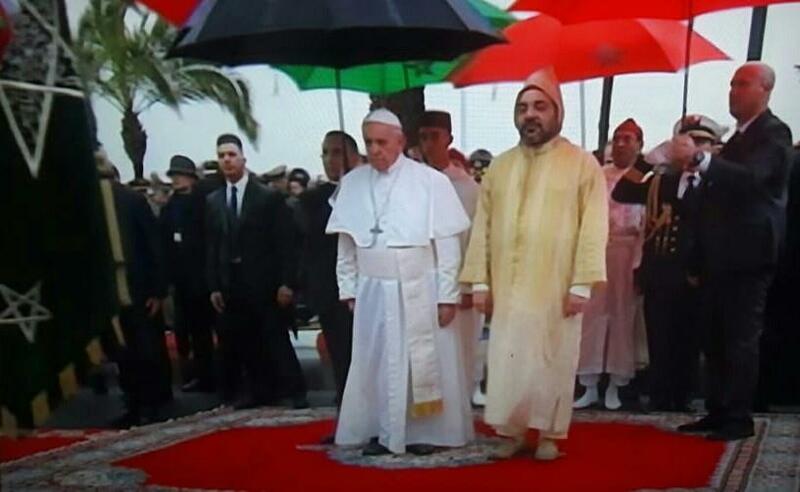 (MENAFN - Kuwait News Agency (KUNA)) RABAT, March 30 (KUNA) -- Moroccan King Mohammad VI and Vatican Pope Francis have affirmed the importance of interfaith dialogue for achieving peace and coexistence among the world's nations. This came in two speeches delivered on Saturday by the King and the Pope who is paying an official visit to Rabat. In his speech in front of thousands of people, the King called for promoting dialogue amongst religions, pointing out that the heavenly religions are open to each other in the pursuit of mutual good. Morocco's King called for more religious dialogue between Muslims and Christians, saying education is the answer to religious extremism. He emphasized Morocco's keenness to maintain the ties of "brotherhood that bring closer together children of Abraham, peace be upon him, as the cornerstone of Morocco's civilization." Meanwhile, Pope Francis urged Morocco to continue offering migrants welcome and protection. He said extremism, which often leads to violence and terrorism, represents an "abuse to religion and God himself". He called for enhancing interfaith dialogue amongst religions, and combating extremism.